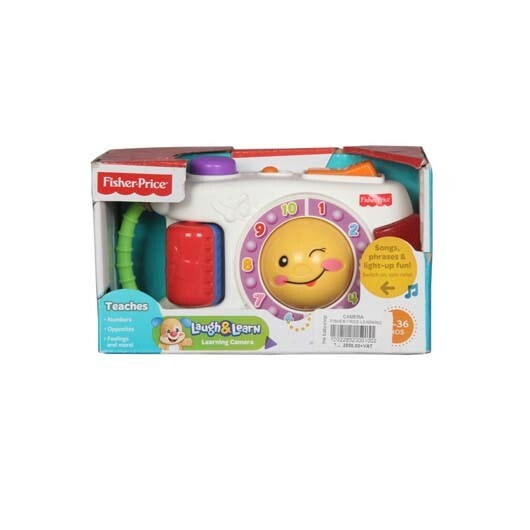 Baby Is Sure To Smile, Laugh And Sing With This Friendly Light-Up Camera. Four Sing-Along Songs Help Baby Learn About Counting, Colors, Feelings And More. There's A Ball To Bat And Roll, Beads To Spin, Toggle To Press, And Plenty Of Fun In The Picture! Volume Control Makes It Great For Quiet Play, Too.